Minerva the Monster is for Ages 4-8. Minerva the Monster was written by Wednesday Kirwan. 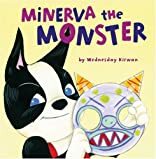 Minerva the Monster was published by Sterling Publishing.